John Chen, Pharm.D., Ph.D., O.M.D., L.Ac. Internal medicine is an integral part of both Western and Traditional Chinese Medicine (TCM). Both medicines have advantages and disadvantages in regards to diagnosis, treatment, and prevention. In order to achieve optimal treatment results for hemorrhoids with minimal side effects and adverse reaction/interactions, this course will help practitioners identify the western and TCM diagnosis for hemorrhoids and its chief clinical manifestations. Dr. Chen will share safe and defensive practice guidelines to minimize side-effects, adverse reactions, and herb-drug interactions when using herbal formulas. Both western and TCM treatments for managing hemorrhoids, common side-effects associated with prescription drug treatments, and an herbal alternative treatment will be discussed in the article. Understand and identify the western and TCM diagnosis for hemorrhoids. Know western and TCM treatments, recognize side-effects of drugs for hemorrhoids. Be familiar with herbal prescriptions used to treat hemorrhoids. Know the lifestyle and dietary recommendations to ease hemorrhoids. These online courses are immediately accessible after purchase therefore are non-refundable. 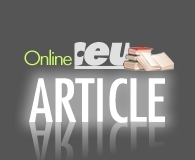 For more info on Online CEU Articles, click here to visit our FAQ page. Purchase this product and receive access to the Lotus Clinical Manual of Oriental Medicine for FREE!